The Institute's Foundation invites you to attend the opening Sydney lecture by the 2016 Droga Architect in Residence, Liz Ogbu, designer, urbanist and social innovator, founder and principal of Studio O, San Francisco. During her residency, Ms Ogbu will explore a topic that has been of fundamental interest to her practice: how tactical urbanism can be leveraged as a community development tool with marginalized populations. In this lecture Liz Ogbu will explain how, through her work she has been exploring how a more tactical approach can address longstanding difficulties of community development projects such as the long project cycles and the lack of meaningful interactive engagement. A Q&A session and post lecture drinks are included. Liz Ogbu is a designer, urbanist and social innovator, and she also has expertise on disruptive innovation in challenged urban environments. From designing shelters for immigrant labourers in the U.S. to a water and health social enterprise for low-income Kenyans, she has long worked with communities in need to leverage the power of design to deliver social impact. In addition to being the founder of Studio O, Liz is on faculty at UC Berkeley and Stanford Design School. Some of her honors include Public Interest Design’s Top 100, 2014 Aspen Ideas Scholar, and Senior Fellow of the Design Futures Council. She earned her architecture degrees from Wellesley College and Harvard University. 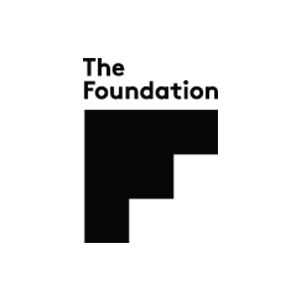 The Foundation is a not-for-profit national body committed to fostering and promoting the art and creativity of architecture for the benefit of the Australian community. Through philanthropy and artistic vision it aims to take the domain of architecture to the Australian public as well as enhancing and promoting the image of Australian architecture around the world.